If you would like to donate, just click the button below. I’m using my wife’s PayPal account for now (once we’re incorporated, YMC ARES® will have its own account), but your donation will be tracked and every penny will go toward the YMC ARES® Group. If we reach $500, I’ll post an update right away and take down the appeal for donations in the sidebar of my blog. Thank you so much for considering this! I have to give credit to Gary L. Robinson, WB8ROL, for the title of this post. I met him on the air tonight using Olivia 500/16, and pretty soon I was reading his article about this mode . . . but I’m getting ahead of myself. Olivia 500/16. Image obtained from http://www.oliviamode.com. My introduction to Olivia took place yesterday afternoon at a meeting in a little coffee-shop in Marshall between the MN ARES® ASEC, Section 5 DEC, Lyon Co. EC, and myself (at which I accepted the position of Yellow Medicine Co. EC, but that’s another story). They explained that FLDIGI is the software they are training people on, that every Thursday evening at 8:00 P.M. there is a MN ARES® digital net on 80 meters, and that they are using Olivia 500/16 for this net. Well, my power of recall being what it is, I’d forgotten all about it till I heard the clock chime 8:00 while I was doing the dishes (after dining on my wife’s fabulous slow-cooked chicken). “Honey,” I asked, “would you mind if I left the rest of the dishes to you? I’d like to go check out a net on the radio.” I sure am blessed with a sweet wife — she took over without batting an eye while I dashed downstairs and started hooking up my laptop to the interface while firing up FLDIGI. Sure enough, there was the net. I “listened” (How do you say it? Read?) for nearly an hour, and finally checked in right as the net was closing. I can attest to what Gary writes about in that article. As the band began to fade, his signal dropped until I couldn’t hear it at all. All I could hear was static; I assumed I’d lost him. Not only couldn’t I hear him, I couldn’t see anything on the waterfall display. But incredibly, letter after letter appeared on the screen as Gary typed his last message! 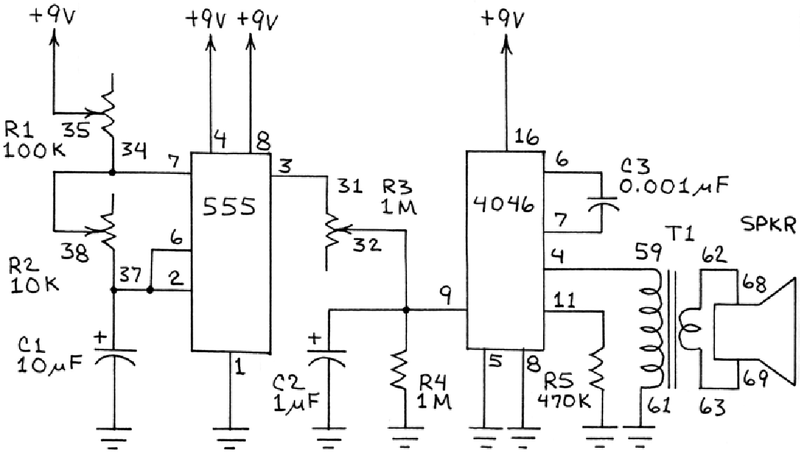 The last lab of book 1: a frequency meter using 555 & 4046 chips. I have reached the end of book one. It has taken me six months to complete the book. The things that I have learned are both great and valuable. 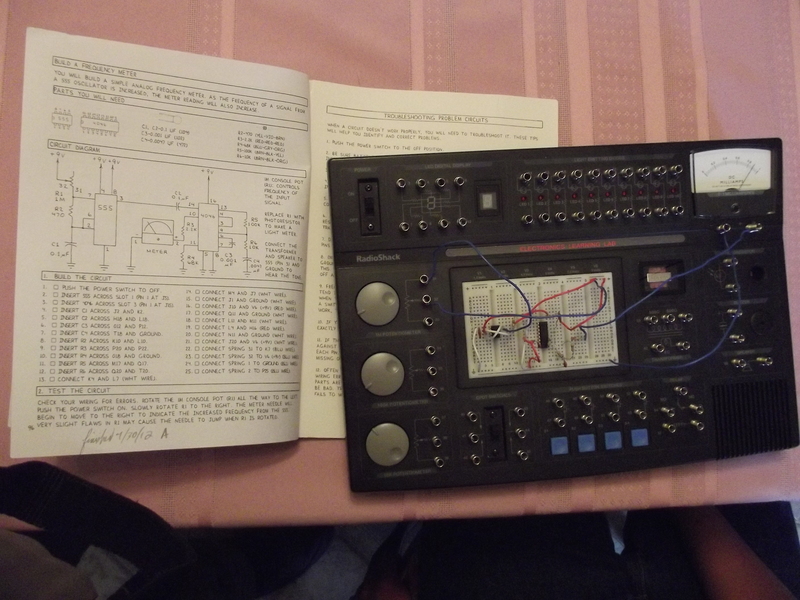 To be able to understand parts (such as resistors, capacitors, and different types of ICs) has been a great help. It has been a real joy to have my dad help me with my projects. We both learn something new each time we do a lab. 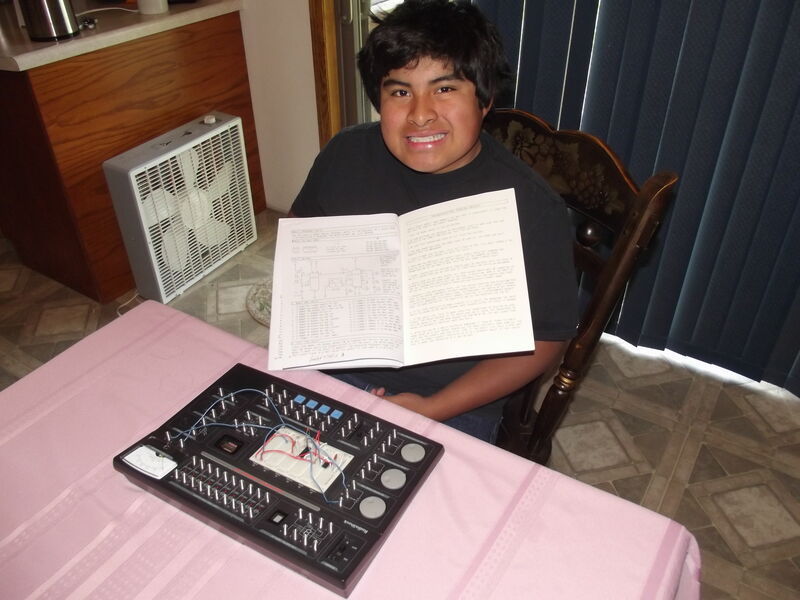 With this lab you learn how to put together circuits. You also learn to think about what the circuit is doing. Once you really start to understand the basics you are able to figure out parts of the projects without looking at the step-by-step instructions. This lab kit has so many neat and interesting projects. You get to build things like light-dark meters, adjustable sirens and so much more. By using this lab I am able to build a code oscillator and many other useful things. Anybody who wants to know more about electronics or who has never learned about them should consider getting one of these lab kits from Radio Shack. Once again let me just say that I have really enjoyed working with this lab. 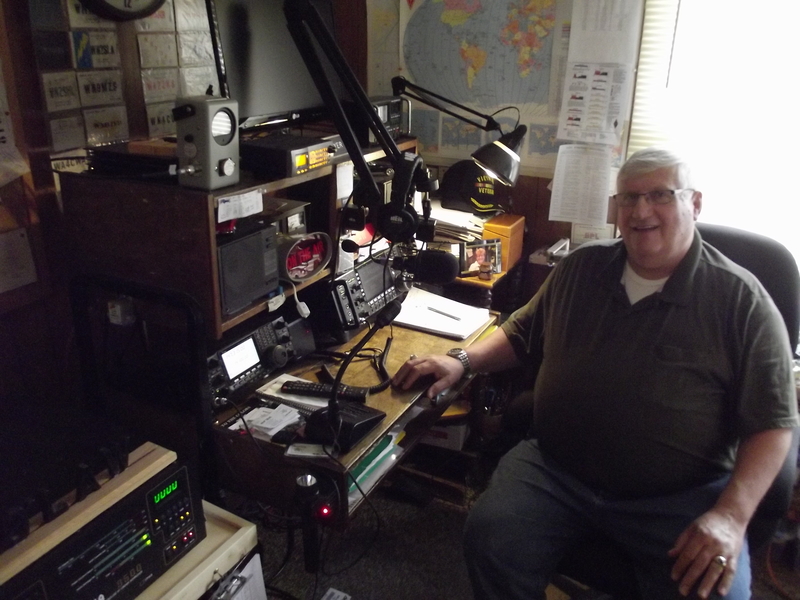 When I was a boy my father paid for my membership in the ARRL, but when I got out on my own I let my membership lapse because of the cost. When I finally joined again last year, I mainly did it so I could use the outgoing QSL bureau. Since then, however, I have come to appreciate other benefits of membership. One of those benefits is full access to the QST Archives. They are a treasure-trove! September, 1969 issue of QST, p. 66. Copyright © 2012 American Radio Relay League, Inc. - All rights reserved. 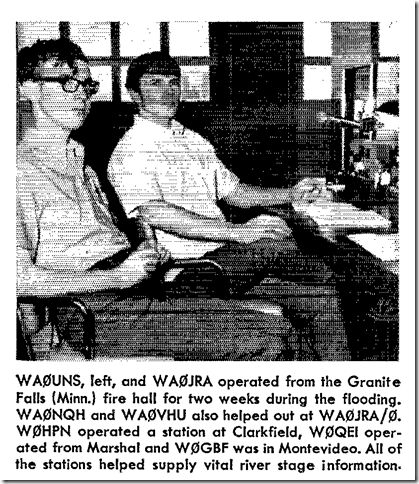 Using QRZ.com I looked up the fellow on the right, WAØJRA, and sent him an email inquiring about Amateur Radio here in Granite Falls back in those days. I’m looking forward to his reply. Have you searched the QST Archives for references to your own city? Try it!